The process of the United States exit from the INF Treaty will begin on February 2. This was announced on Wednesday, January 16, by the Deputy Secretary of State for Arms Control and International Security, Andrea Thompson. As previously announced, the process of Washington’s withdrawal from the agreement will last six months. It was on February 2 that the ultimatum of the American side expired, which in early December 2018 demanded that Russia “return to the implementation of the INF Treaty” in 60 days. As US Secretary of State Michael Pompeo said then, if this is not done, Washington will stop fulfilling its obligations under the treaty. Apparently, the United States is determined to implement its threats. Explaining the American position, Thompson pointed out that the United States does not see the striving of Russia, which Washington accuses of violating the INF Treaty, to begin again to observe it. The diplomat noted that the Russian-American consultations held on January 15 in Geneva ended in complete disappointment because they did not lead to a breakthrough in solving the problem. However, Thompson said that the communication itself took place as frankly and openly as possible and lasted as long as necessary. According to her, the negotiations were completed only when there was an understanding on both sides of the absence of any progress. Earlier it was reported that consultations in Geneva lasted more than two hours. On the Russian side, the delegation was headed by Deputy Foreign Minister Sergei Ryabkov. Regarding the Russian missile 9M729, which remains a stumbling block in disputes between the two countries on the INF Treaty, Thompson said that the United States did not have enough visual inspection of the Russian missile to make sure that its range does not violate the terms of the agreement. The diplomat does not see the point in the test launch, which could show the real characteristics of the rocket. There were suggestions from the Russian delegation on other transparent measures, but the American side did not consider any of them verifiable, so all of them were rejected. However, the United States continues to demand the implementation of the INF Treaty, noting that from February 2 Moscow will have another half a year to do so. The goal of such a step is to “demonize” the Russian authorities. No evidence of Russia can not save the agreement, because the US will always find something to complain about. This is indicated by the format of consultations between the two countries, which boils down to the voicing of ultimatums performed by the American side. The goal of US President Donald Trump is to introduce a new treaty, in which would be the main foreign political opponent - China. This is said by many experts. While for a long time Russia and the United States restricted each other, China, which did not sign such an agreement, continued to increase the production of missiles. This is reported in the recent report of the Pentagon’s Military Intelligence Agency. Andrea Thompson also made it clear that if the United States’s exit from the INF Treaty took place (there is practically no doubt about it), Washington will be able to start researching and developing those weapons that are still banned by the treaty. It is obvious that the States prepared in advance at the exit of the INF. It is known that funds for the development of new systems have already been budgeted. 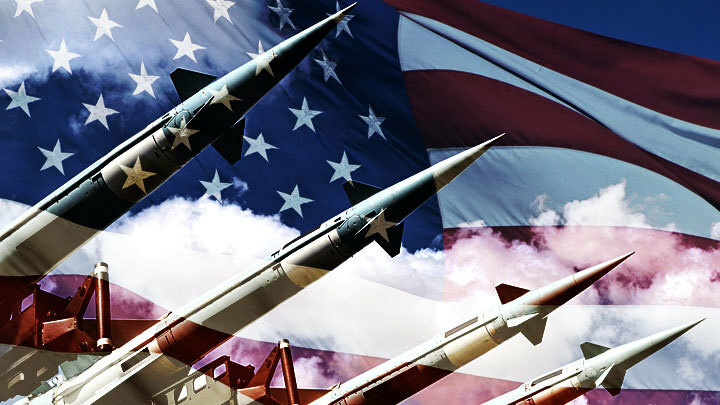 Washington destroys the existing weapons control system by its actions, and in return does not offer anything. The United States headed for the withdrawal of all agreements. Moreover, the current president is not a big fan of any agreements at all. At the same time, as reported by Bloomberg, the US Permanent Representative to NATO, Kay Bailey Hutchison, said on Wednesday that the US is funding development to counter medium-range and short-range missiles. According to her, the period of time during which they will continue is unknown. In turn, Russian Foreign Minister Sergei Lavrov during a press conference on the results of 2018, which took place on January 16, said that Moscow is still ready to work on maintaining the INF. The Foreign Minister also expressed the hope that Europe will also make efforts to this end and will cease to succumb to the United States. The deadline for Washington is slightly more than two weeks. The chances that the agreement signed by Mikhail Gorbachev and Ronald Reagan will be saved will go to zero. Obviously, Donald Trump did not like this treaty restricting the production of certain types of missiles from the very first days of his presidency. In its termination, the White House sees not only a kind of PR move, but also an opportunity to demonstrate to the whole world that the country does not want to live according to the rules of previous generations. But do they understand in Washington that the potential arms race it has provoked can push the whole world for 40-50 years back?